Past installments in this series can be found here, here, here, and here. There have been many 76ers from the University of Kentucky. Almost all of them have had names. But only one captured the hearts of the Philadelphia fanbase while also being named Nazr. Way more after the "jump!" ZWR: Fun fact- Nazr Mohammed played 23 seasons in the NBA and scored 400 points. 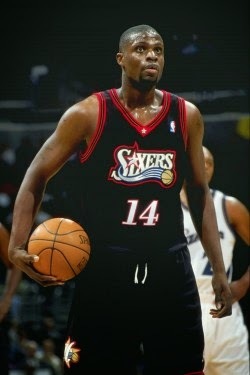 He averaged 7 rebounds and 11 fouls per game. 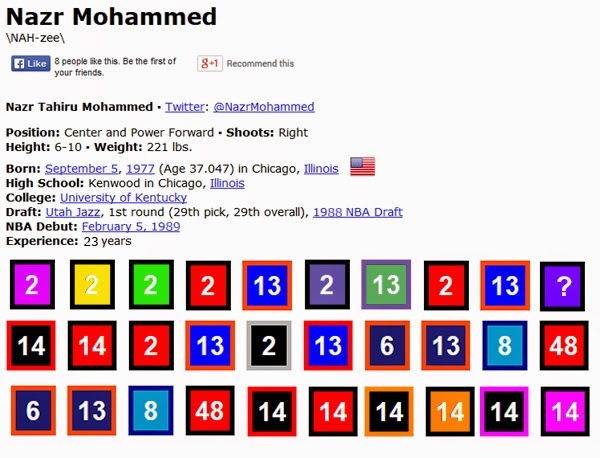 Mohammed was at Kentucky for 9 seasons, which means he was in the basketball mainstream for 32 years. Another fun fact- “Nazr” is pronounced “Nah-zee” (not “Nazi”). The Evster: So basically only one actual fun fact in that last paragraph. I wonder how Nazr’s career would’ve gone if his name was pronounced “Nazi.” Probably the exact same. Which is to say tremendous. ZWR: Can you imagine an actual Nazi winning two championships in Kentucky of all places under a guy named Rick Pitino? Or was one of them under Tubby Smith? Did I get either of those coaches right? Does it matter? Tubby Smith so doesn’t hang out with Rick Pitino or John Calipari. The Evster: I need to become online friends with the guy who writes Zoo With Tubby because I’ve got a good 30,000 words in me about Saul Smith’s haircut. BUT BACK TO NAZI. You know, many Sixers’ forwards have brought a certain je ne sais quoi to the squad. Rick Mahorn: toughness, George Lynch: hustle, Keith Van Horn: socks… but if you dive deep into the numbers, and really analyze the wins and losses, only one of them was named Nazr. ZWR: Well, I mean, yeah… that’s the joke. The Evster: I don’t get it. ZWR: You already said that. And neither do I. But thanks. The Evster: Zoo, if you were Nazr (and I recognize you are not), and you were being inducted into the Hall of Fame (and I recognize he will not), which team would you choose to represent? ZWR: That’s a good question, Evster. The Evster: No it’s not. The answer is the Hawks. ZWR: Are the Hawks still in the league? Have they ever won a playoff game? Dominique was dope AF (NFL equivalent = Randall Cunningham). The Evster: Not only are the Hawks still in the league, but they currently have on their roster the greatest Philadelphia athlete ever named Thabo AND the greatest Philadelphia athlete ever named Elton! No idea why I used an exclamation point there. Not a clue. That bit of information is not even close to interesting. The Evster: Push it good! Spinderella: Agree, let’s do this thing.